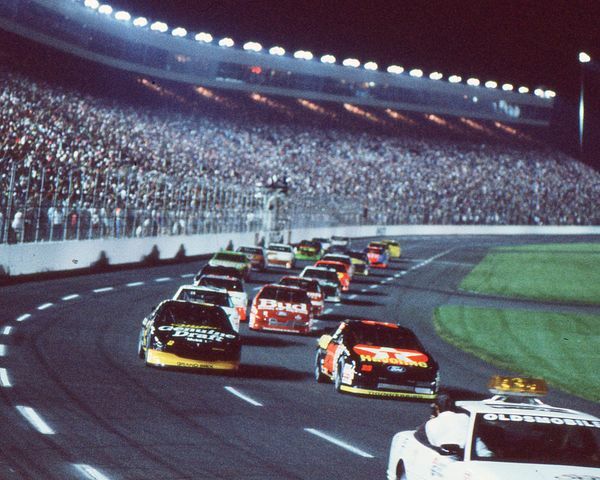 The NASCAR All-Star Race brought a new type of racing to Charlotte Motor Speedway. It wasn’t exactly Daytona on a 1.5-mile track. But, it was close to that. However, Matt Kenseth is looking for something different. If you go back about 20 years, the cars were setup drastically different than the cars of today. The travel in the suspensions alone created a wider variety in chassis setup. That variety created comers and goers throughout a run, which created racing. Today, every car is sealed to the race track. Suspension travel, there isn’t much of that. The front end and even the tail of the race car isn’t hardly traveling at all really. That places every team in a very narrow box. Every spring and shock package is just as stiff as the next. As practice rained out for the NASCAR All-Star race, the TV played the ‘One Hot Night’ special. Matt Kenseth had a revelation. “That’s the kind of racing I like,” Matt Kenseth declares via the Dale Jr download. Matt Kenseth details the racing in the NASCAR All-Star race at Charlotte Motor Speedway. Since that race, there’s been a buzz from the fan base. Kenseth hasn’t watch the All-Star race. He did watch the Open and he thought it was exciting. But, that’s still not exactly what he’s looking for. Now, NASCAR is hinting that they have plans to move that direction for future races. It’s possible that style of racing becomes the package for every 1.5-mile track. Dale Earnhardt Jr and Matt Kenseth both started their career in the same year, 1997. In those times, there was still a little bit of the old package available. The teams hadn’t exactly figured out the sealing aspect just yet. The splitter is a hot topic for Dale Jr. Kenseth just pressed that button. Dale Earnhardt Jr chimes in. He still hates the splitter. “I hate the splitter. You said splitter. I’m with ya man,” Dale Earnhardt Jr adds. Related: Will the All-Star package be used in 2019? 2018?